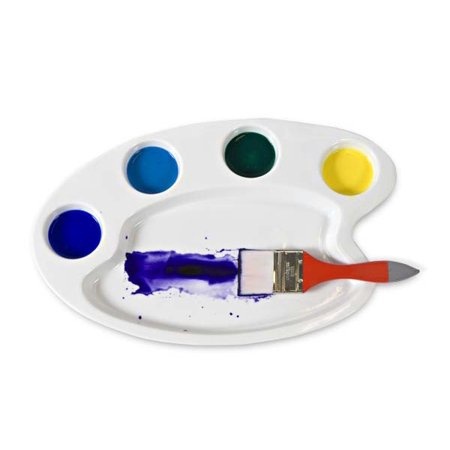 Classic Artist Palette - This 42cm palette is reminiscent of the traditional artist palette. It has four large wells and a generously sized mixing area. 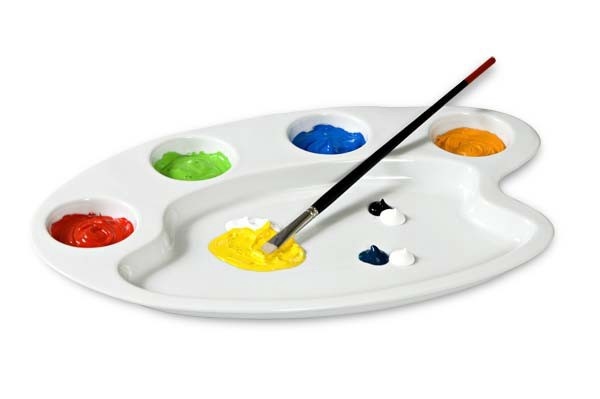 It has the advantage of allowing artists to use the wells to clean brushes or to mix fluid colours. Since it is so simple to clean, it is excellent for practically any kind of medium and serves as a sturdy tray that won't move about easily like plastic palettes.